The other night I was sitting at home, kid in bed, boyfriend at hockey, and I turned on the TV (I do this rarely if I am alone) hoping for an episode of Rich Bride Poor Bride, but to my pleasant surprise I discovered a new show called Cake Boss. Fantastic. Not even a word of a lie, cake is my favorite food, which is kind of evil, I wish I could say it was cucumber and egg white scramble, but no, sweet delicious cake. Over the past year I have changed my eating habits to be a lot more healthy, the one thing that will never be banned from my life is cake. Over the past ten years, the dynamics of a wedding have been completely changed. Now it is all about the colours, the decor, theme, favors, special effects, flowers...and CAKE! It's almost like a competition, to have a wedding, not necessarily bigger, better, more expensive, but something different from the rest. Unique. The need to stand out from all the other weddings your guests have attended. 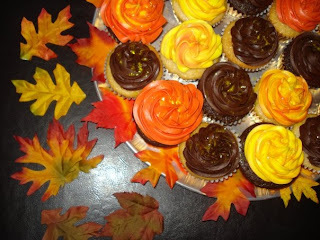 I am a bit of a Martha Stewart, in the way that I can cook, bake and craft like a mad woman when I am in the right mood. 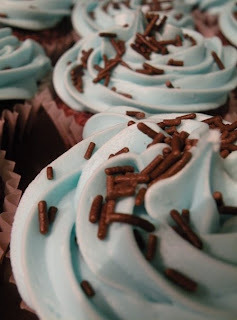 I have made cupcakes for several occasions, and have a few weddings that are coming up that I will be baking for. I just do not see the need to spend $2.50 a cupcake for something I can make for maybe a dollar. 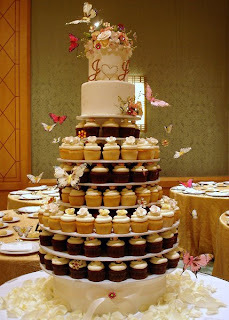 I love the cupcake tiers at weddings that have sprung up in recent years. 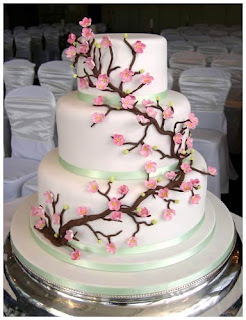 I think that they are a fun and whimsical way of integrating the cake into the reception. I especially enjoy when the couple orders a small cake to top the tier, as I do like the wedding classics such as the cake cutting. 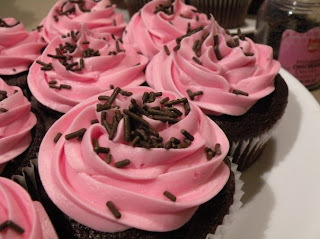 Cupcakes are a great way to go as people will actually eat them, they are portable, and there is no need to sit with a fork and plate. I find weddings that serve cupcakes have less waste than a giant cake. Now, do not get me wrong, I love a good cake (big surprise!) I just like them to be a little bit different. I am not a fan of the three tier white cake with nothing to make it stand out. There is so much choice out there now, and an endless amount of inspiration out there. I don't believe on spending a fortune on the cake, I think there are so many ways around this. Almost everyone knows a baker and with some direction, this baker family member or friend can create a cake that everyone will rave about. Call me boring but I also am not a fan of "creative" fillings. I like chocolate, vanilla, confetti, banana and maybe cherry cake. Please do not try and feed me wedding cake, that is disguised in a delicious icing coating but filled with orange cake and fig jam. Blech! Keep it simple for the cake portion, then everyone is happy and the cake gets eaten.